Would you like to know the price of Google Nexus 32GB 7 3G and Wi-Fi models in India? Are you looking for a list of Asus stores in India? This article will provide the information you need. You will get all the details of Google Asus Nexus 32GB 7 specifications and its unique features as well as information on where to buy the Google Asus Nexus 32GB 7 tablet in India. What are the main features of Google Asus Nexus 32GB 7" tablet? The heart of any computing device is its processor. 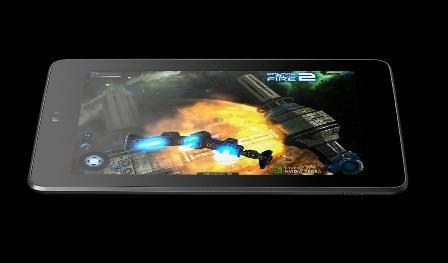 Asus 32GB tablet has a NVIDIA Tegra 3 quad-core processor. There are 2 plus points of this processor. Firstly, you don't have to stare into space and impatiently drum your fingers while waiting for a page to upload. Quick loading eliminates this useless activity. When you are opening a document or an app, quickness is the most desired requirement. You can also trawl e-space quickly with the built-in Google Chrome. This efficiency extends to the battery too because the processor has been so designed as to save the battery power. The Android 4.2 (Jelly Bean) is a mobile platform on which the Nexus operates. With the feather-touch abilities, you can tap the buttons really faster. What's more, there is an unusual aspect to it – it can actually predict the next alphabet you will need in a word. This increases the speed with which you send an SMS. Take advantage of Google's cloud services by signing up for it with your Google Account. You can then connect to your very own storage locker in e-space with your Nexus 7. All your emails & photographs, documents & folders, games & music, etc are kept safe and secured in that locker. Fun and games will thrill you to no end on the Nexus tablet. There are literally thousands of enthralling games and unique apps to make you spoiled for choice. There are both free and paid ones for all age groups. If you have a craze for 3D games, those too are available via Google Play. The Google Now is also incorporated, through which you can get really useful information about traffic snarls & train times. Since it is the latest version of Google Now, you can even be alerted about your flight reservations & know about interesting places nearby to visit from where you are located while on travel. What is the price of Google Asus Nexus 32GB 7" tablet in Indian Rupees? While the Asus Nexus 7" 16GB variant comes with a price tag of Rs 15,999, the official price of the 32GB variant is not mentioned at the Google India store website. It seems Asus will be offering it with the Wi-Fi-only tablet costing Rs 18,999 and the Wi-Fi+3G model costing Rs 21,999. Where to buy Asus Nexus 32GB 7" tablet in India? 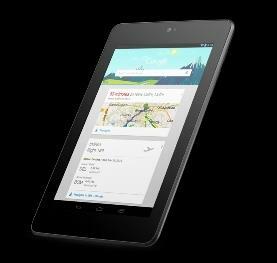 What is interesting is that Google will be launching a new version of the Nexus 7 tablet in July 2013. Surprisingly, this new version will ditch the Nvidia Corp's Tegra 3 chip and replace it with Qualcomm Inc's Snapdragon processor. So maybe you should wait for this new version and compare it with the current model before you go and buy it.